Every January, many people want to get in shape, lose weight or improve their health and look to enroll in a gym. It's also when gyms offer deals on their membership plans. 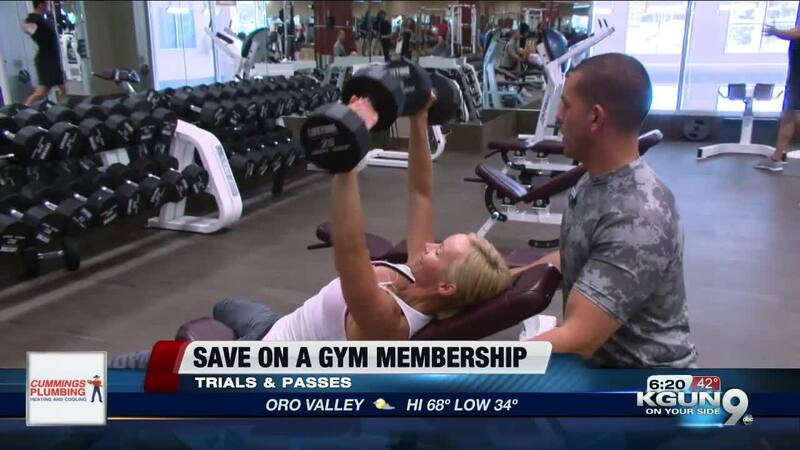 Consumer Reports has tips on how to save more on a gym membership and what to look for before signing that contract. TUCSON, Ariz. - If you are considering enrolling in a gym but want to save some money, the beginning of the year may be the right time. "It's a good time to start because there are many offers to start, to try out because it's when there are many people trying to go to a gym," says gym owner, Cesar Hernandez. Consumer Reports also advises asking for a no-commitment trial. Many gyms offer day passes to try out their facilities. And if you have friends or family interested in signing up with you, they may offer you a lower monthly rate for a group. Hernandez says that trying the place before you commit will help you identify what type of gym is best for your goals. "Are you are looking for someone to help you, to guide you from the beginning, or you are looking for a gym that has machines and that you can do yourself," says Hernandez. When you find the perfect gym for you, you can negotiate a better price. Speak with a salesperson or manager to see if they can give you a free month or eliminate the registration fee especially if you sign a contract. Hernandez gives his customer a significant discount when they sign a contract. "The incentive to sign a contract is that you will save money. For example, if you sign up for 12 months, you can save between 40 to 50 percent compared to the person who is paying monthly," says Hernandez. "Look to see if there are subscription or cancellation fees and if you need to notify them months in advance to avoid being charged," says Consumer Reports Money Editor, Donna Rosato. And be sure to keep a copy of the contract in case you need to reference it in the future. If you have health insurance through your employer, find out if they offer a discount on gym memberships. Some insurance companies offer hundreds of dollars in reimbursement if you are a member of a participating gym.